In the last five years, virtual reality (VR) and augmented reality (AR) technologies have seen very impressive growth rates. This article examines the patent landscape in VR and AR technologies to identify the main portfolio holders, countries involved and overall industry trends. VR technology creates a completely new, artificial reality that removes the user from their actual surroundings. The use of headsets and headphones envelops the user in an illusion of an alternate world. It is generally used for entertainment purposes, in the form of movies (eg, animations and interactive games). However, in the future it could be used for medical applications such as therapy, education purposes, military training or industrial manufacturing. AR technology superimposes artificial images on real surroundings, usually by looking through a smartphone camera or wearing special glasses. Aside from its use on social media (eg, face-tracking filters), the main application of augmented reality is in gaming. The user looks at their surroundings through a smartphone camera and sees virtual objects and can interact with their surroundings through the touchscreen interface. The most popular AR game is Nintendo’s Pokémon Go, which surpassed the $2 billion revenue mark after only 811 days. AR could be used in the future in a multitude of settings, from medicine to office applications. While AR is already part of our daily lives, with millions of people applying filters to their Snapchat or Instagram stories, VR users are still small in number. In order to identify VR and AR-related patents, the IPlytics Platform database was used to perform an extensive keyword search of worldwide filed patents for VR and AR technologies. The search was based on the patent’s content, making use of state-of-the-art stemming and semantic indexing methods. IPlytics analysed 140,756 patents (67,043 INPADOC patent families). Figure 1 illustrates the number of patent applications between 2010 and 2018. Patent filings have more than doubled in the past four years. The data confirms that a growing number of companies are filing for patent protection. 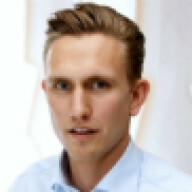 IPlytics grouped patents by looking at each company’s portfolio by using entity disambiguation techniques in order to identify patent ownership. Further, patent applications were counted according to the corresponding patent family in order to count the number of unique patented inventions per company. 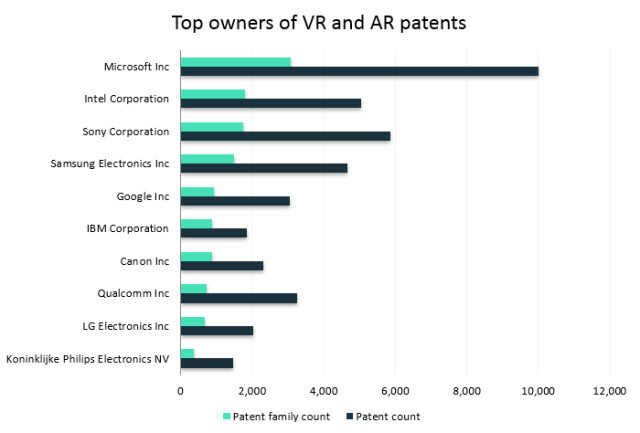 Figure 2 shows that Microsoft, Intel and Sony are the three strongest VR and AR-related patent owners. Out of the top 10 VR and AR technology patent owners, IPlytics identified five US-based companies as well as two Korean, two Japanese, one Chinese and one Dutch company. 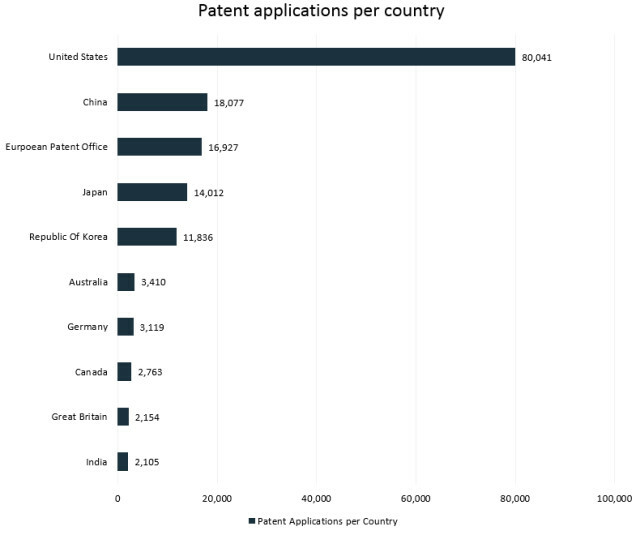 IPlytics identified the patent offices and, as illustrated in Figure 3, the highest number of VR and AR patents were filed in the United States, followed by China and the European area. Over 55% of patents pertaining to these technologies were filed in the United States, which underlines a US-dominant patent filing activity. 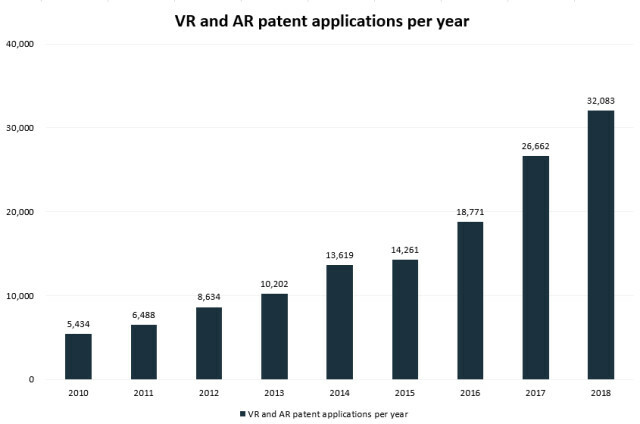 While VR and AR technologies are still not widely adapted or used, patent filing activities confirm a significant increase in interest over the last few years. Although its actual potential and use beyond the entertainment industry remains to be seen, there is no doubt that its commercial value will increase. This is a co-published article whose content has not been commissioned or written by the IAM editorial team, but which has been proofed and edited to run in accordance with the IAM style guide.